Click on thumbnails, above, to view the slide show. 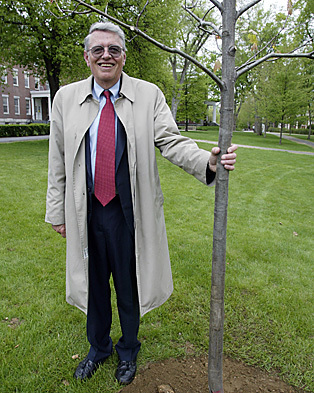 Dean Emeritus of the College James W. Carignan ’61, praised as an educator, innovator and civic leader whose legacy is “permanently etched upon the fabric of Bates,” died Aug. 14 at age 72 following a long battle with heart and renal disease. Jim Carignan’s title for 33 years was dean of the college but his contributions also radiated outward, and he especially led Bates to a closer friendship with its Lewiston-Auburn neighbors. 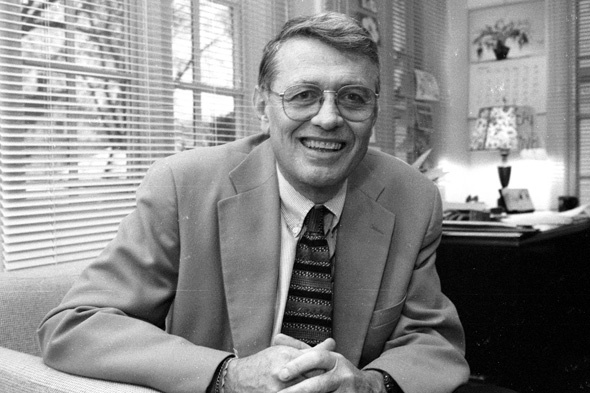 After earning a Ph.D. at the University of Rochester and teaching history at Kent State University and Kenyon College, he returned to Bates in 1970, attracted by Bates president Hedley Reynolds’ promise to expand the Bates faculty and improve the college’s academic reputation. In an oral history for the Muskie Archives in 2001, Carignan described grappling with whether to leave the professorial life at Kenyon for a Bates administrative appointment during great institutional change. “There was a fresh wind in the air, and it was an intriguing wind,” he said. After spending his early years on traditional deanship duties, he expanded his work in the 1980s. He guided the growth of the Muskie Archives, Bates’ repository of the papers of statesman and Maine son Edmund Muskie ’36. He established the college’s Center for Service Learning, now the Harward Center for Community Partnerships, to create opportunities for Bates people to team with area partners through community-based learning and traditional volunteerism. He served on the Lewiston City Council, the State Board of Education and more than 25 other boards locally and at the state level, mostly in education and community development. He solved labor disputes as a mediator for the state of Maine. His survivors include his wife, Sally Larson Carignan ’62, and his children, Steven, Mark, Paul and Sarah Carignan Belanger ’95, and their families.